Our second and final week of production (for sprint 2 at least). We had a lot of catching up to do so there wasn't a lack of tasks to do. 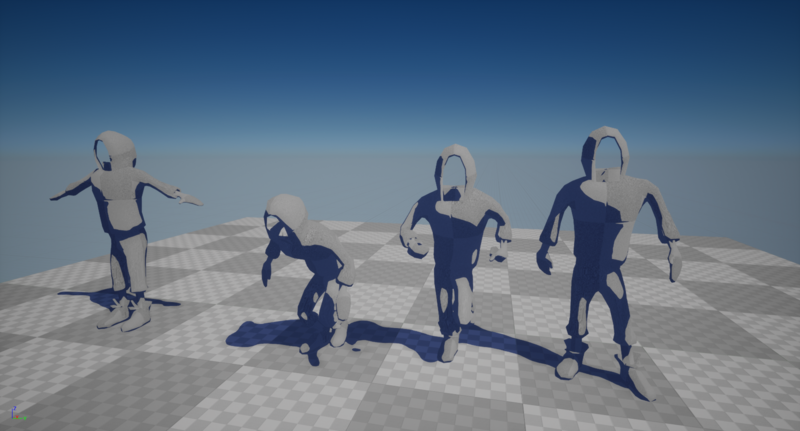 The artists rigged and skinned the main character model and made some animations. You can see the handsome fella here. If you're wondering about the strange shadows, that is the post processing filter for our cell-shaded look. You can change the hue and darkness of shadows and light areas or adjust the threshold for the banding effect. There's even an option to only use the post processing effect on objects that render a custom depth pass. So lots of control. Although it's mainly for the environment as the character will get a few little extras in that regard... but more on that later. 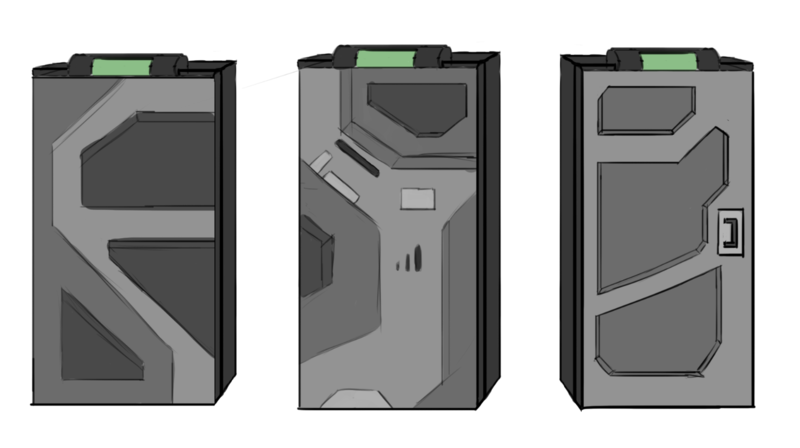 The door, as you can see, underwent a little design phase. The same is true for the crate but that happened on paper so you'll have to wait until we scan those pages. What else, what else- oh yeah, the enemy guards are currently being designed but as we have no real designers and there was plenty of other work that part has had a bit of a delay. - Bugfixing of features present in our prototype such as the camera and the AI was an important assignment as they are vital for our gameplay. 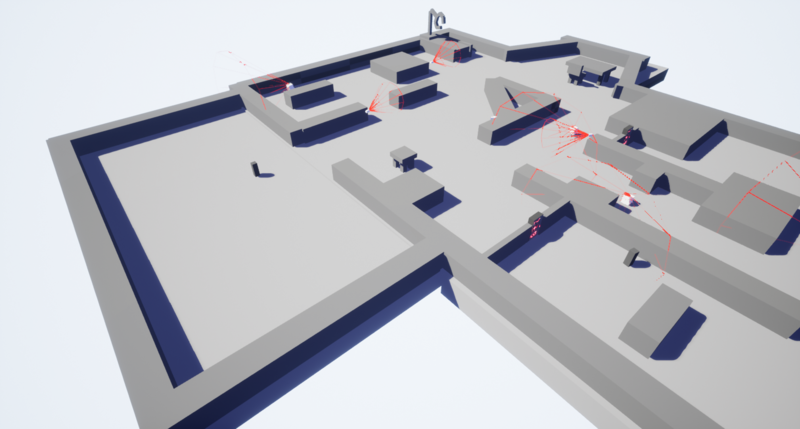 The AI pathfinding is now following a spline. Although there seems to be some strange behaviour in the AI sometimes this has allowed our AI to move around much more smoothly. - Speaking of moving around more smoothly, the player movement is now rotated like the camera so the movement should feel better. - The AI can now also notice and investigate sounds created by the player. Once the item throwing is fully implemented that should give the player a lot of new options. - The navmesh also got some tweaks and now updates in-game. Then there were those doors from earlier. The way to open those doors is by sneaking up on an AI with a keycard. If he doesn't notice you you can actually steal it and use it to open locked doors! The current stealing mechanic is still a bit messy as it was made by one of the artists but the base is there. Now we only need to incorporate the keypad in this locked doors mechanic. And most importantly, we made our level. 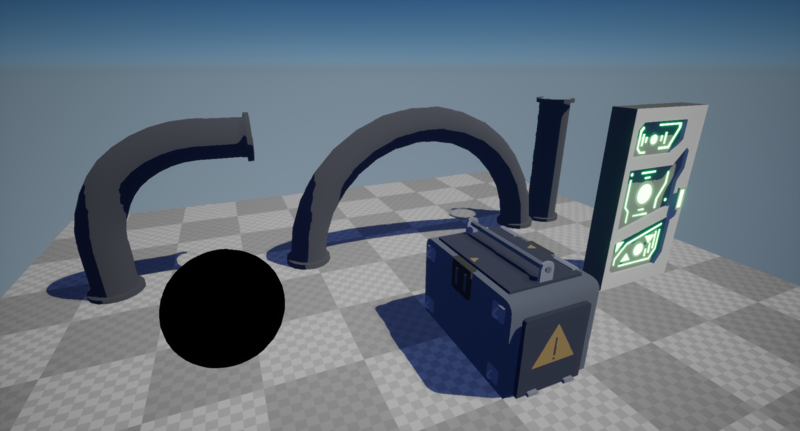 It's still mostly a blockout at the moment but we hope to put our assets in there ASAP! We hope to update you on our progress again soon.